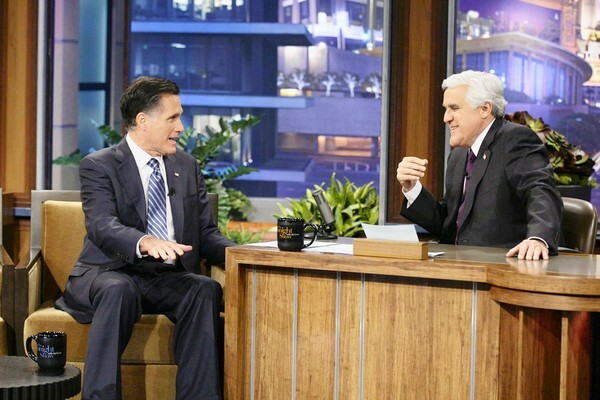 On health care, Leno pushed Romney to explain what he would offer Americans with pre-existing medical conditions so that they might retain their coverage, perhaps the most popular provision of the president’s healthcare law. “People with pre-existing conditions, as long as they have been insured before, they are going to be able to continue to have insurance,” Romney said, describing his vision for health care if the Affordable Care Act were to be struck down or repealed. “Suppose they haven’t been insured,” Leno countered. “If they are 45 years old and they show up and say I want insurance because I have heart disease, it’s like, ‘Hey guys. We can’t play the game like that. 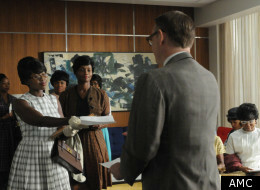 You’ve got to get insurance when you are well and then if you get ill, you are going to be covered,’” Romney responded. But when Leno pushed back, telling Romney he had friends who had worked in the auto industry who had never had insurance before and now were able to get coverage, Romney seemed to soften his stance somewhat. Leno turned out to be a harder interviewer than most of the journalists in the mainstream media, actually asking a sensible follow up question. In the past Romney, like most Republicans, supported an individual mandate because of situations such as this, but he has flip flopped on that. I’d also like to know how he would handle the common situation of people losing their insurance coverage because of becoming too ill to work, along with the frequent cases of people losing their insurance because their employer dropped coverage. Romney’s inability to give a sensible answer is characteristic of his entire campaign. Perhaps this is why Romney’s unfavorability rating has hit 50 percent, why Obama now leads Romney by 11 percent in a head to head match-up, and why Obama leads in key battleground states. Of course Romney isn’t helping himself by telling a “funny anecdote” about his father closing down a factory.